Alabama Bloggers: Birmingham Restaurant Week Date Night: Little Savannah. 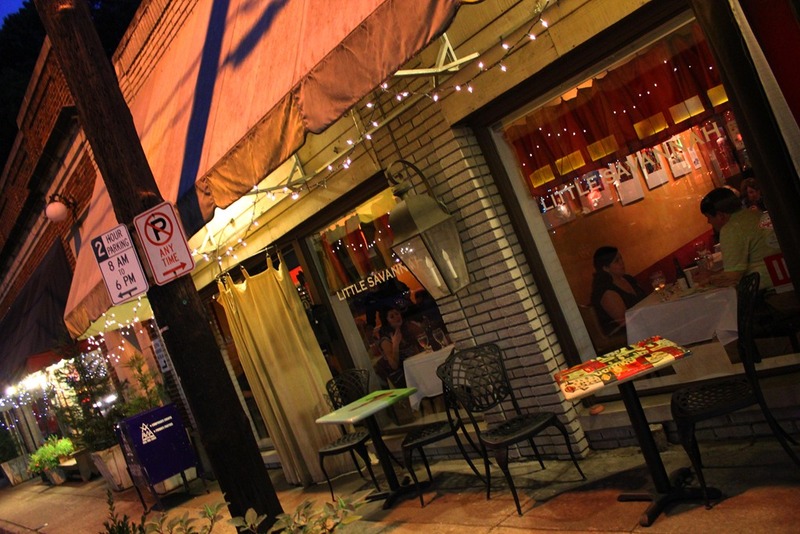 Birmingham Restaurant Week Date Night: Little Savannah. As always, Birmingham Restaurant Week is the perfect opportunity to try new places, so we decided to enjoy our date night there. Little Savannah is committed to local sourcing of their foods, some even coming from the Propreitress Maureen’s garden out back. 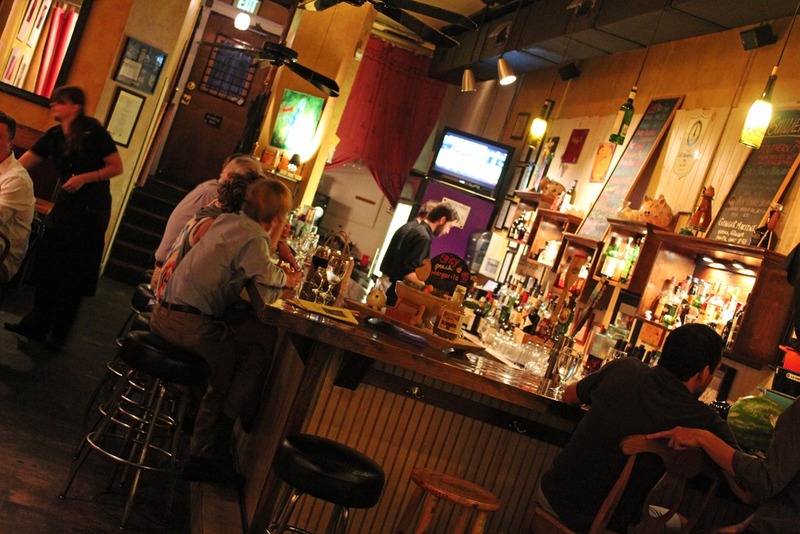 Their menu changes daily to ensure that they can offer the freshest local produce available. 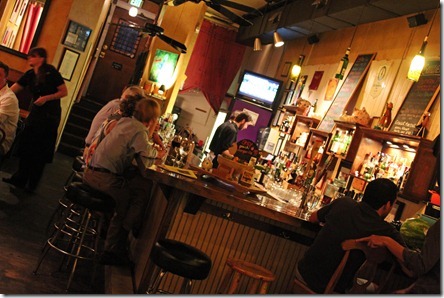 They have a small, cozy, café/bar feel, offering quiet spots for chatting and catching up. I ordered the restaurant week menu, and Chris ordered a couple of small plates. 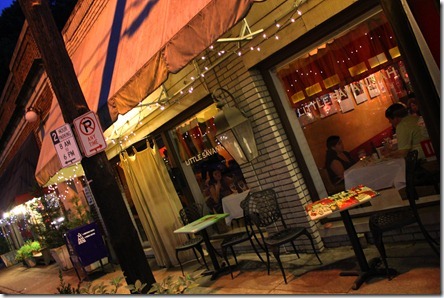 I quickly realized that I was totally unqualified and unworthy to review their food – it was far too phenomenal for my minimal culinary knowledge. 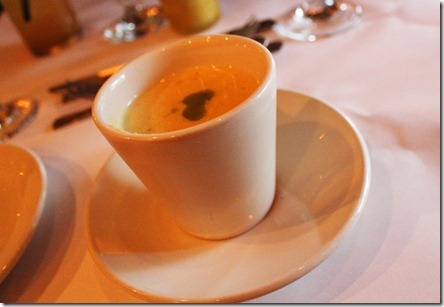 My first course was Roasted Corn Chowder with Basil Pistou. Being that I’m not a true foodie but simple someone who really, really likes good food, I have to admit: I had no idea what Pistou was. In case you don’t either, it’s a cold sauce made with garlic cloves, basil, and olive oil. And, when stirred into an extremely beautifully made corn chowder, adds a perfect touch of seasoning. I finished my Corn Chowder and scraped the bottom with my spoon, determined to get every last bit. 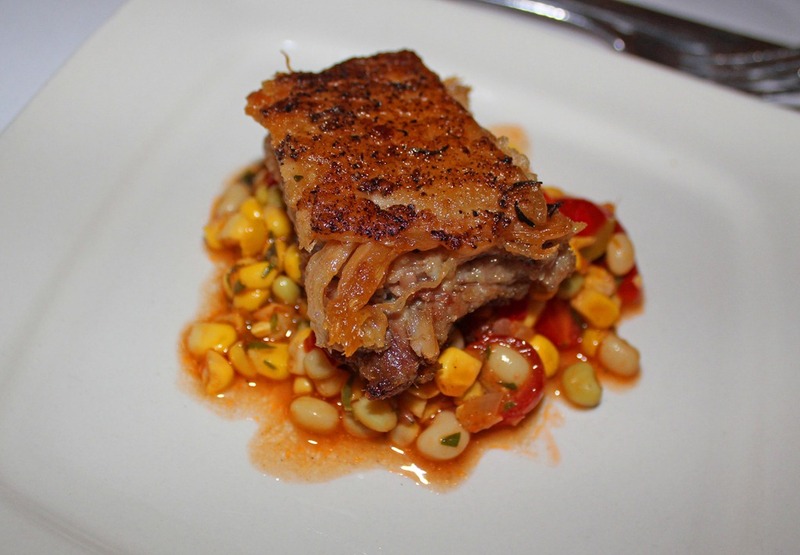 For his first course, Chris ordered the Slow-Roasted Pork Belly. His description can be translated as delightfully rich, ever-so-slightly crunchy on top, and meltingly tender underneath. In practice, his description was a series of primordial moans, facial expressions of surprise, and random words of exclamation. 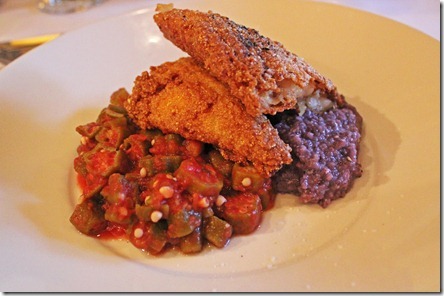 My next course was the Fried Alabama Catfish, Stewed Tomato and Okra, and McEwen and Sons Grits. The catfish is fried southern-style – It is a crispy, cornmeal batter that lends an awesome salty flavor to the fish. The stewed okra had a kick to it that was sharp enough for my husband to appreciate and mild enough for me to still enjoy. Chris followed up with the wild caught Gulf Shrimp and Grits. He did not share this dish with me. He did not even offer, although he cleaned the plate completely. 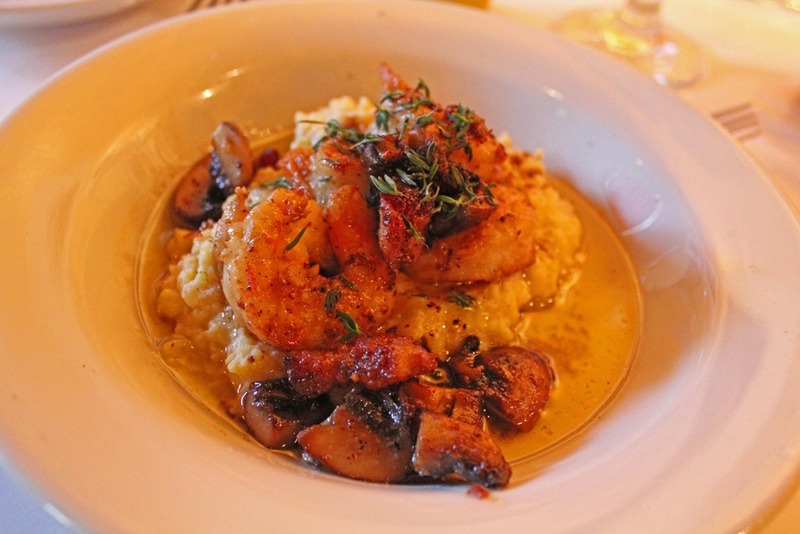 Per him, the grits were wonderfully thick and creamy, the shrimp perfectly firm, and he even ate the mushrooms – and he hates mushrooms. And of course, he wasn’t opposed to the fact that half of the lovely little pieces were not mushrooms, but thick chunks of bacon. 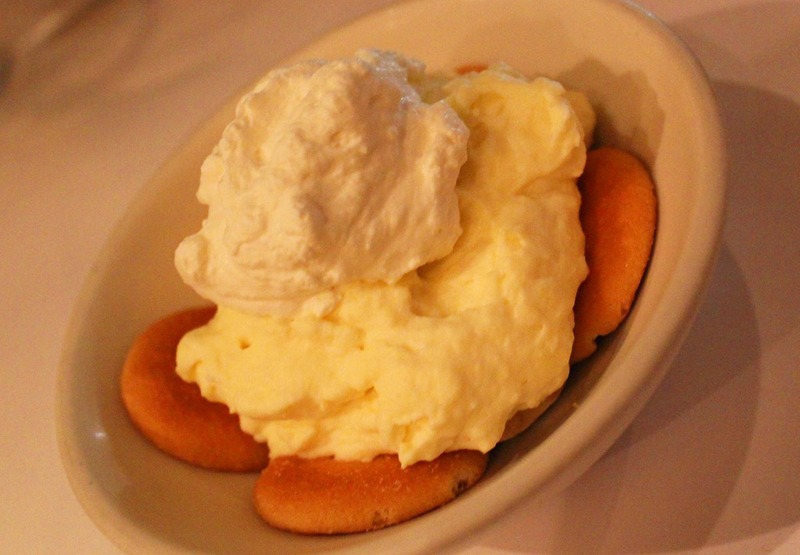 We ended with the Southern-Banana Pudding, which was fabulous. It was creamy and rich without being too sweet, and was a perfect way to end the evening. 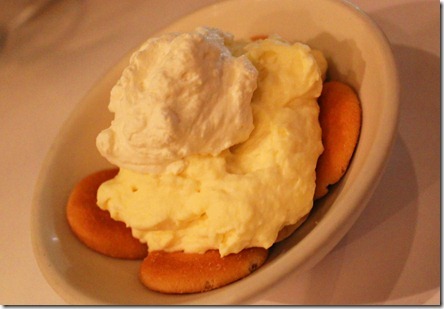 Please note that this pudding is apparently prepared separately from and served over fresh, crunchy vanilla wafers. This innovation, according to my husband, is on a scale of societal change somewhere between the invention of the wheel and the Internet. Little Savannah is a wonderful example of high cuisine paired with local sourcing, together creating a fabulous setting for casual southern romance. Disclosure: I was compensated my entrée in exchange for participating as a Birmingham Restaurant Week blogger. We paid full price for the rest of our meal, and my opinions are always my own. Rachel is a Birmingham-Based Blogger who writes at Grasping for Objectivity and runs this networking site for all Alabama Bloggers. She and her family love eating out, especially at local establishments where the food is divine and kids are welcomed with open arms.